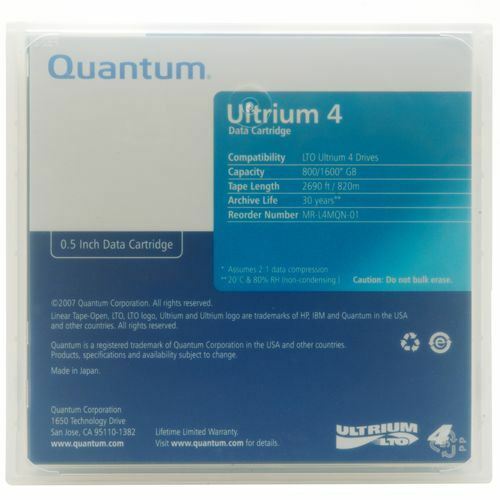 Quantum LTO 4 Ultrium data tape cartridges are manufactured to the highest industry standards for quality and reliability, ensuring low error rates, high performance and long-term durability. 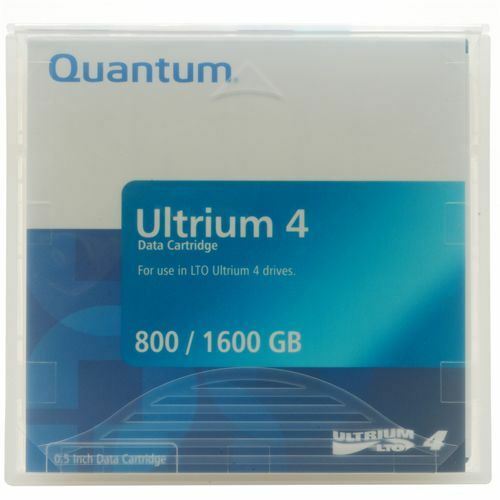 LTO 4 Ultrium data tape cartridges allows you to archive your data with confidence. The Quantum media family offers you more choices to better manage your data over time, and now includes LTO Ultrium tape cartridges. Quantum's LTO Ultrium tape format has been optimized for high capacity and performance with outstanding reliability, in either stand-alone or automated environments. All tapes are brand new & factory sealed.